When most people hear the words weight training, images of bodybuilders lifting huge heavy weights may be the first thing that comes to mind. But you don’t have to look like a young Arnold Schwarzenegger to reap the benefits that weight training can provide. 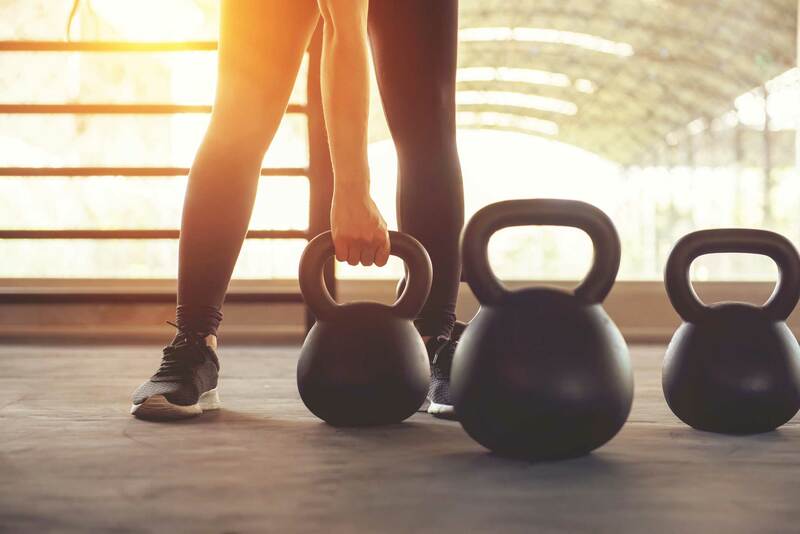 Weight training is an extremely important aspect of a well-balanced exercise routine and can have numerous benefits for those trying to increase their overall fitness or those who are trying to get into healthy shape. Bruce Brazeal, a fitness specialist for the Hartford HealthCare Rehabilitation Network, says that there are numerous benefits associated with weight training, including increased bone health, which can protect against osteoporosis, reduce the risk of developing back pain and improving overall strength that can help people perform daily activities and enhance their quality of life. Aside from building muscle strength, Brazeal also said that incorporating weight training into your exercise routine can also help burn extra calories. It helps boost your metabolism so you will still burn fat even when sitting still. It will also help improve flexibility, which can help prevent injuries and improve cardiovascular health. In the videos below, Brazeal demonstrates exercises that can be done with a minimal amount of equipment. Stand with your feet between hip- and shoulder-width apart. Hold a dumbbell or kettlebell vertically with your hands underneath the top of the weight. Hold the weight against your body so it’s touching your sternum and stomach. Keep your core tight, back flat and dumbbell or kettlebell in contact with your body. Bend your hips and knees to initiate the squat and continue until your elbows touch your knees. Grab a dumbbell or Kettlebell and hold it like a suitcase. Keeping your shoulders square and upright. Maintain that posture as you walk with the dumbbell at your side for 10 to 20 yards. Then put it down, pick it up with your other hand and walk back. Brazeal explained that you don’t need to belong to a gym or have an assortment of weights to do strength training, as you can use resistance bands or even your own body weight by doing push-ups, pull-ups, or sit-ups. For more information about the benefits of a well-balanced exercise plan and more sports health services offered by Hartford HealthCare, click here.